advances to the State Competition! 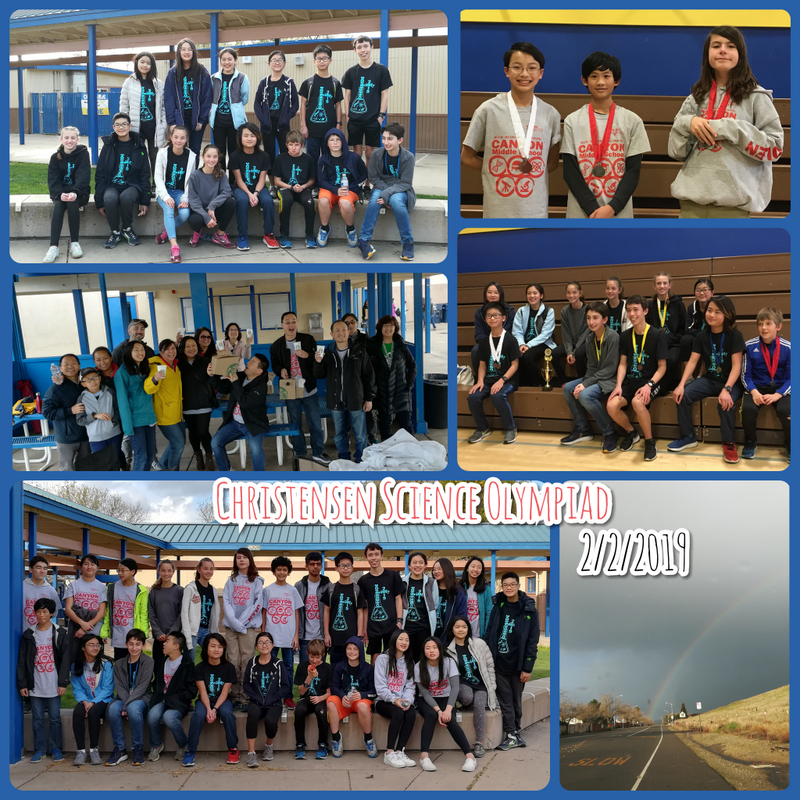 Creekside brought home the trophy for 3rd place and Canyon came in 8th place at Christensen SciOly Invitational! 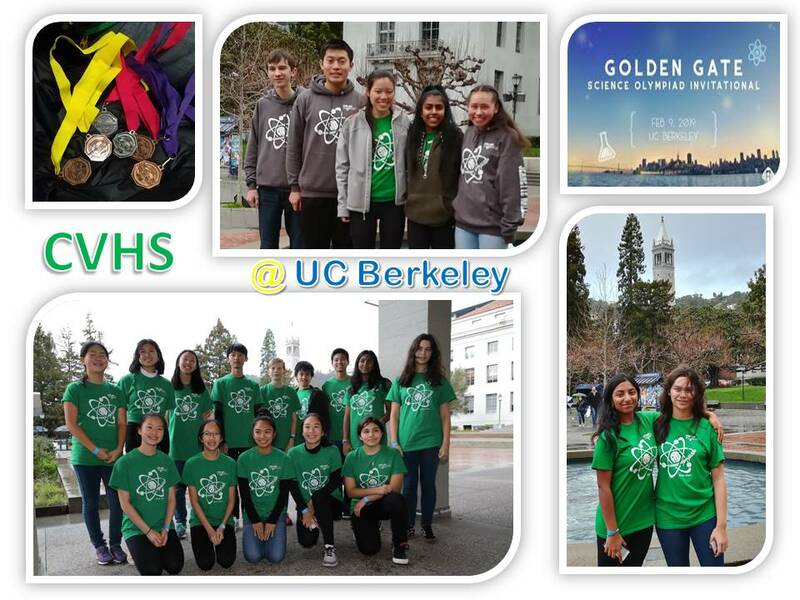 2018 Castro Valley Science Olympiad Teams from Creekside, Canyon, and CVHS! 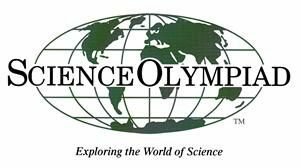 SCIENCE OLYMPIAD is a premier national science competition, providing rigorous, standards-based challenges to 7,600 teams in 50 states. 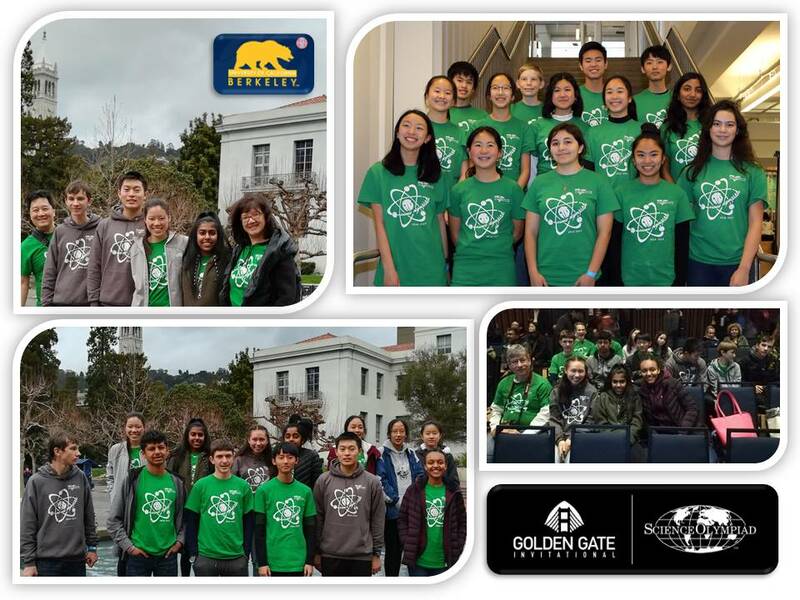 Science Olympiad’s ever-changing line-up of events in all STEM disciplines exposes students to practicing scientists and career choices, and energizes them with a dynamic content experience. 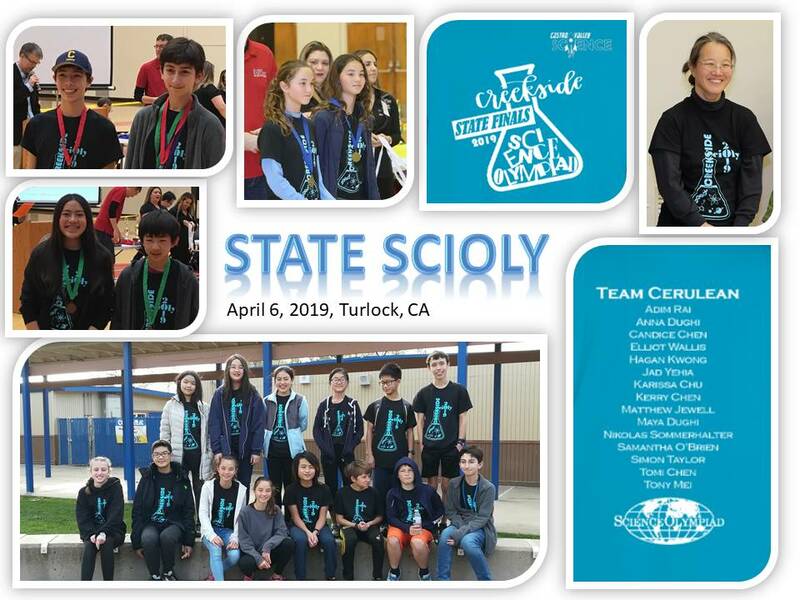 Science Olympiad is sports for the mind. 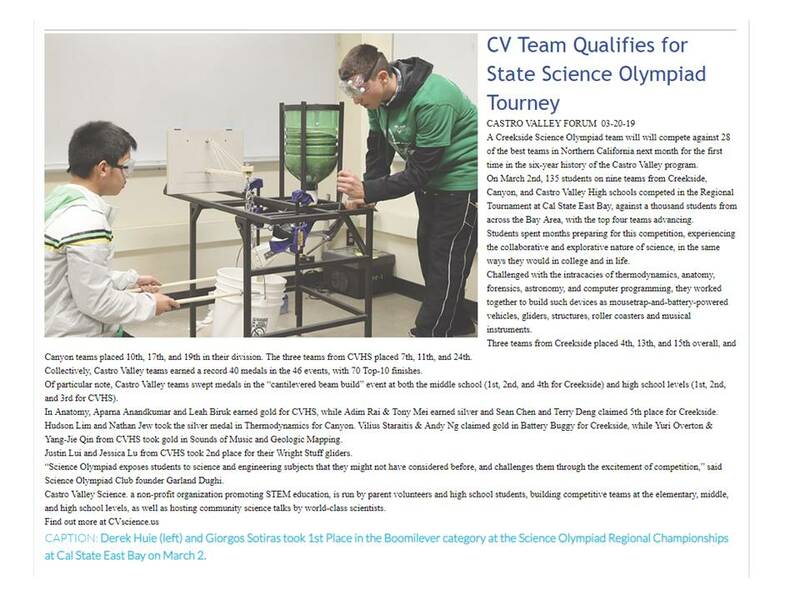 Kids “practice” for months for a regional competition in the spring, with the hopes to “make it to the state competition,” just like the athletes in school. 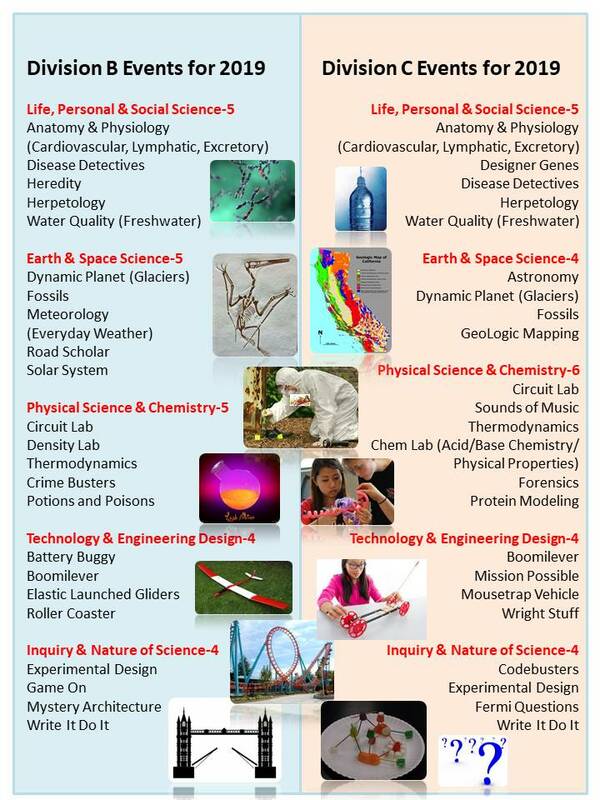 Students are challenged with STEM projects at a competitive level, thinking out of the box to come up with creative solutions. 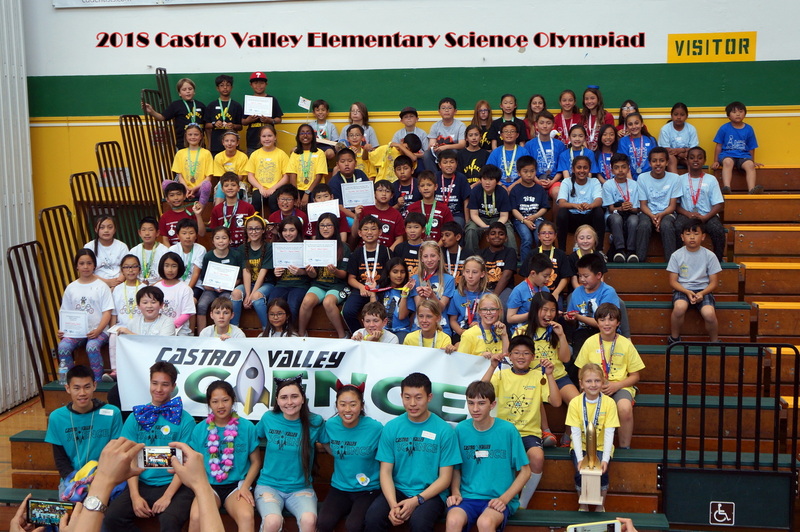 Students work together in teams, coached by parent coaches, some of whom are scientist and engineers. They develop a proud sense of accomplishment in knowledge acquisition and challenging build skills.